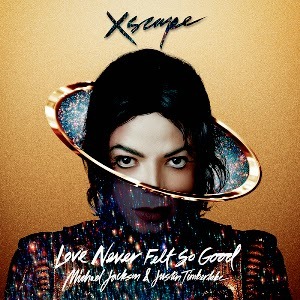 As for "Love Never Felt So Good," the song jumps up to #9, marking MJ's 29th Top 10 single in the States and Timberlake's 16th (including his *NSYNC entries). Billboard also points out that Jackson has the third most Top 10 singles in the US, following Madonna (38 total) and The Beatles (34). On a personal note, I've fallen in amore with "Love Never Felt So Good" quite hard while on vacation in Italy these past two weeks. I get that Xscape — which debuts at #2 this week on the Billboard 200 — is a big Sony cash-grab. But something about that song just clicked with me. Maybe it's the buckets of booze I've downed in the past 12 days? Anyway, Coldplay finally land a hit off their just-released sixth album Ghost Stories with "A Sky Full Of Stars." The song jumps to #10, marking their third Top 10 single in the US, and their first since 2008's "Viva La Vida" reached the peak position on the Hot 100. Just outside of the Top 10, Calvin Harris' "Summer" inches up to #11 and becomes his second-highest charting single here, after "Sweet Nothing" peaked at #10. 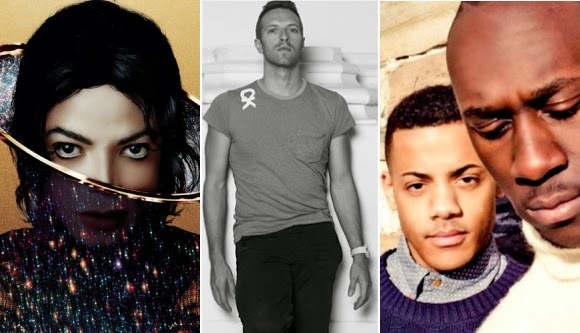 Coldplay reach a new high of #14 with "Midnight," while Norwegian duo Nico & Vinz move up one spot to #17 with the undeniably catch "Am I Wrong." That's all I have time for, pop kiddies. Time to soak up the Italian sun in these last 36 hours of my trip. Ciao for now! Jess Glynne Strikes Out Solo With "Right Here"